Developments in aircraft evacuation have had a significant impact on the aviation sector. 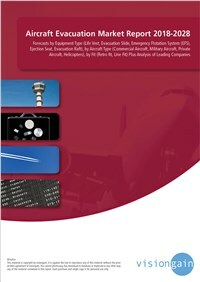 This report provides a detailed overview of the market, creating an accurate picture that will offer clarity to anyone involved in aircraft evacuation. technologies. The report also delivers a forecast of the market, giving you an insight into the future business opportunities that exist in the aircraft evacuation market.